GHRP-6 (Growth Hormone Releasing Hexapeptide) is a peptide hormone of the Growth Hormone (GH) class. The purpose of GHRP-6 as is with all related peptides is to increase the amount of natural GH production in the body. Increases in GH can be beneficial to anabolism, fat loss, recovery and general well being as well as serve possible anti-aging purposes. GHRP-6, and this applies to all GHRP hormones, mimic the production of ghrelin. This mode of action stimulates the ghrelin receptors, GHS-R1a or Growth Hormone Secretagogue. This stimulation acts to increase GH production by stimulating the pituitary, specifically the ghrelin receptors located in the pituitary. When the body is in a fasted state, this is when ghrelin levels are elevated. When the fasted state is met by elevated ghrelin activity, the resulting stimulation can lead to a greater production of GH in the body. However, the increase in ghrelin does not end with increases in GH. Elevated ghrelin is also known to stimulate the appetite, which may be useful for those who need excess calories to grow yet find eating difficult. Alternatively, the hormone will promote fat loss and more importantly enhance the rate of recovery. However, while ghrelin has been shown to promote recovery, in cases of GHRP-6 and elevated GH levels it is more likely that the corresponding elevated levels of IGF-1 play a larger role. IGF-1 levels will not spike at the rate comparable to direct Human Growth Hormone (HGH) use as the pulsating effect of GHRP-6 is short-lived. GHRP-6 is also a hormone that is dependent on glucose, specifically when blood sugar levels are low. Elevated levels of blood sugar will render GHRP-6 weaker, meaning it must be taken during a fasted state for any intended benefit to be had. The effects of GHRP-6 run very deep, but if you are looking for a single performance enhancing item this is not the one for you. 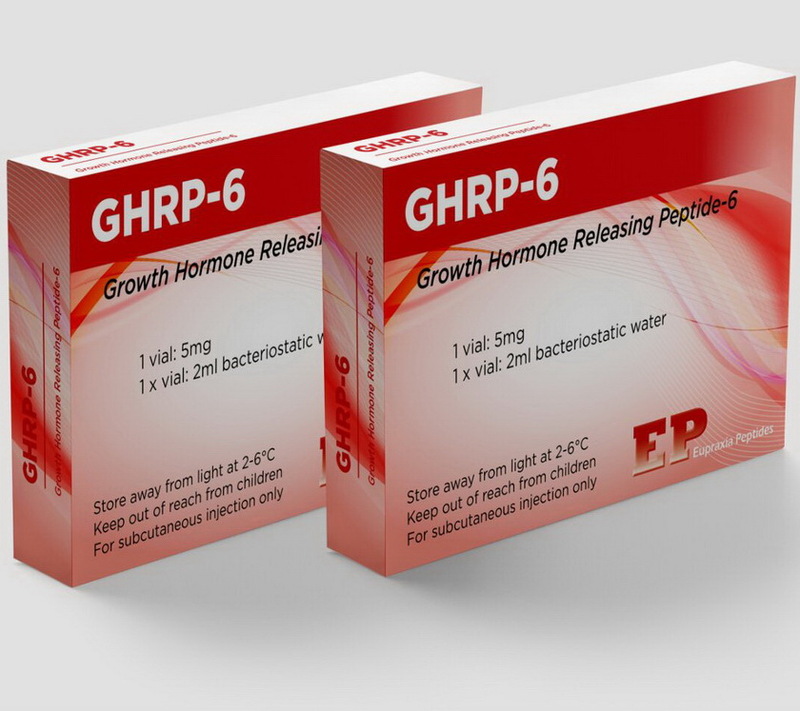 GHRP-6 can provide performance enhancing benefits; however, it will not at a significant rate when used alone. 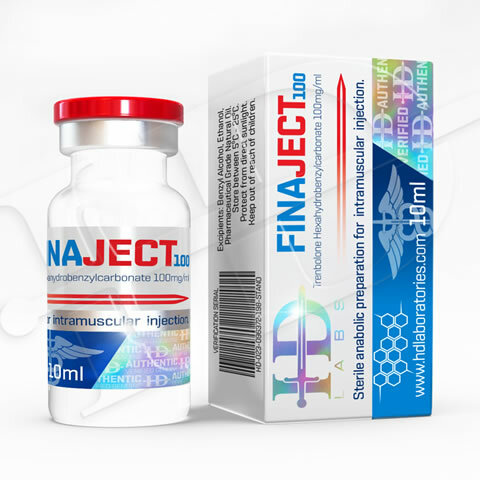 This peptide will show far greater benefits when used as part of a long-term anti-aging plan (Hormone Replacement Therapy (HRT)) or in conjunction with other medications used to enhance performance. For the athlete or bodybuilder, GHRP-6 may be used in conjunction with Mod GRF 1-29 in lieu of HGH use. HGH will produce far greater results for the athlete, but the GHRP-6/Mod GRF 1-29 will only cost a fraction of HGH. The off-season athlete should be able to make increased gains in size with GHRP-6 use as elevated levels of GH will have an anabolic effect as well as help enhance the effectiveness of other drugs used, such as anabolic steroids. The athlete will also find his body fat increases at a slower or lesser rate than without, as elevated levels of GH will increase the metabolic rate. However, when used alone the individual should not expect any more growth than he would have had he not included the hormone. GHRP-6 may be far more useful to the athlete during a cutting or dieting phase, but again only with a compound like Mod GRF 1-29 being used with it. The increased metabolism will help him lose more fat; in fact, fat loss should be far more significant with than without. Recovery should also be greatly improved. Recovery is important when bulking or cutting but can become far more difficult when dieting due to the necessary calorie restrictions. Some men may, however, find the compound does increase their appetite so heavily that dieting becomes all the more arduous. However, this increase in hunger is not guaranteed nor is it assured to occur at the same level in each individual. Appetite or hunger related effects are highly dependent on the individual, and with a well-planned diet most should not have an issue. There are not too many side effects related to the use of GHRP-6 although side effects are possible. The side effects of GHRP-6 should be similar if not identical to any GH related peptide or hormone, and in most cases, should be avoidable or adaptable except in rare cases. Some users may find slight irritations at the injected area (injection sight). Such irritation should not be extremely painful but may be sore and or itchy. In most cases, moving injection sites to other areas of the body will remedy the issue. If site rotation does not work, it may take getting used to over time; however, in rare cases the individual will always experience slight irritation. Some users of GH products may notice a tingling sensation in their hands and or feet. This is most commonly associated with high doses and very high doses of GH levels in the body, but it can occur even with low to moderate dosing in some cases. Most users should find this to fade as use continues but it may not in some rare cases. The side effects of GHRP-6 can include a decent headache in some users due to a strong drop in blood sugar. Diet adjustments will often remedy the problem, but it’s important to remember fasted use is the only true beneficial use. The individual may need to reduce dosing until the body becomes accustomed. The side effects of GHRP-6 can include gynecomastia in very rare cases due to the peptide possibly increasing prolactin levels. However, such an issue may only exist in users who already have gynecomastia and simply exasperate the problem. An individual who does not have gynecomastia will not develop it due to GHRP-6 use. Prolactin elevations, while possible will not be of a significant rate, massive, truly massive doses withstanding, and even then it would be difficult. GHRP-6, like all GH compounds, is a water base injectable compound. This peptide will most commonly come in lyophilized form and will requiring mixing with bacteriostatic water. GHRP-6 will normally be found in 1mg, 2mg, 3mg and 5mg dosed vials. GHRP-6 injections can be administered intramuscularly or subcutaneously. Doses must be administered on a daily basis at minimum with 2-3 doses being far more optimal. Total daily doses may range from 50-500mcg per injection depending on individual need. If another Growth Hormone Releasing Hormone (GHRH) is used, such as Mod GRF 1-29, the total amount of GHRP-6 needed will be reduced with a range of 50-150mcg per dose being optimal. Vials of GHRP-6 will lose potency in less than four weeks after mixed. GHRP-6 is an excellent peptide hormone; in fact, its benefits far outweigh many of the peptide hormones and GH fragments on the market of which there are numerous. However, those who do not like it will normally be left unsatisfied due to using it for the wrong reasons. GHRP-6 is not going to make you huge, it is not going to increase strength tremendously and it not a performance athletes best choice when supplementation is based on performance. GHRP-6 will always hold the primary benefit of promoting a healthier individual and in HRT plans. For the athlete, it can be a solid addition to an already well thought out plan, but it cannot be stressed enough, when used alone, for the athlete, it’s not going to be worth much. Yes, using GHRP-6 will be better than no HGH supplementation, but for the athlete, only when combined with another GHRH.